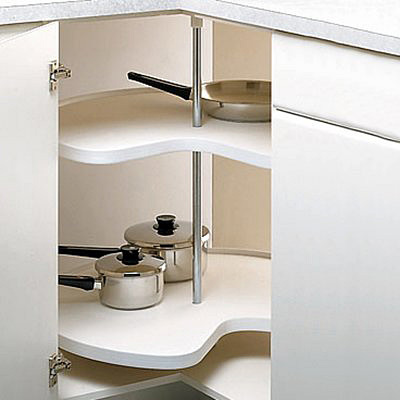 We can install a lower Lazy Susan as well as an upper cabinet Lazy Susan. There are more than 12 types of Lazy Susan that we can incorporate when we reface your kitchen cabinets. Ask us for more details.